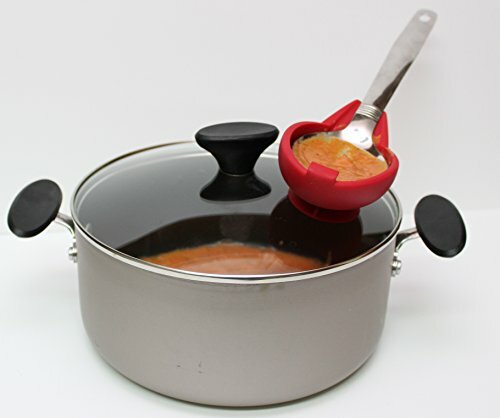 The Spoon BuddyTM is an innovative spoon rest that has a suction cup which allows it to be adhered to lids of pot/pans, countertops, or tables. The catch tab allow it to fit a variety of utensils! Flip it over and use it to open seal tight jars. Very easy to clean and dishwasher safe! View More In Spoon Rests. If you have any questions about this product by Spoon BuddyTM, contact us by completing and submitting the form below. If you are looking for a specif part number, please include it with your message.